The encouragement led me to take a few classes, buy a DVD, and hide in the basement with my mat to become familiar with the art of yoga. The most fun part was chanting. Little did I know that years later, a yoga chant would help me catch my first 100 pound tarpon. From 1988 through 2011, a group of my fishing buddies and I fished annually in the Florida Keys. 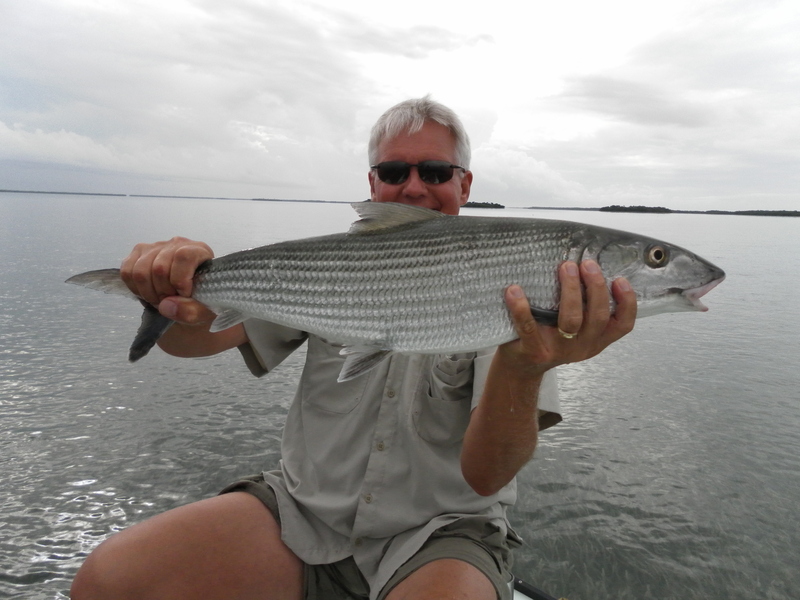 We were fortunate to have the best guides in the Keys trying to put some very average but enthusiastic anglers on the fish of the flats, namely, bonefish, permit, and tarpon. As we drove to the Keys for the second year of the trip, stories from the previous trip were shared in a tone of excited anticipation. I observed a significant discrepancy in the way each of us remembered the details of the previous trip. As a result, I bought a blue journal at the K-Mart in Marathon, which has been referred to as the fishing bible ever since. 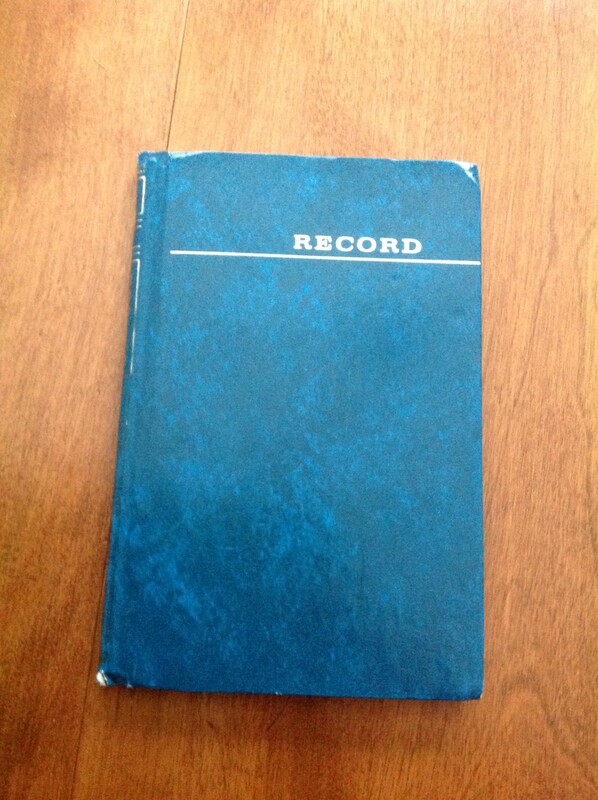 I have the journal in my hand reviewing the events of November 4, 2010. 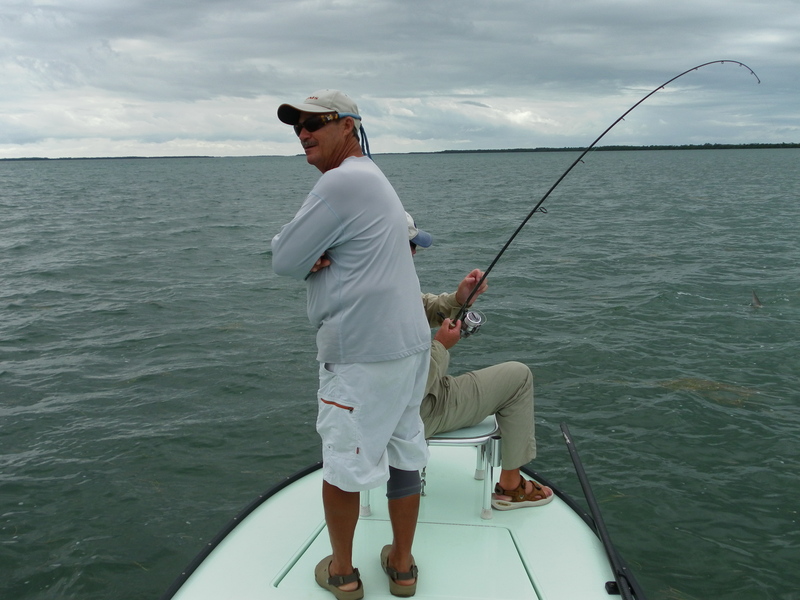 I was fishing alone with Guide Dale Perez who is an extremely talented flats guide. On difficult fishing days, Dale referred to himself as “Captain Snake Bit”. I often reminded him that poor fishing results are typically caused by the angler or the conditions encountered, not the guide. Dale launched the skiff out of Little Torch. As we cleared the narrow channel lined with beautiful homes, the skiff was punched up on plane and we started the long run into the backcountry of the Content Keys which are a slice of heaven nestled in the flats bordering the Gulf of Mexico. The early morning run was made as Dale and I silently shared the optimism of endless possibilities. The skiff skimmed over the surface pushing a gentle wake as a soft hissing sound caressed our ears. Dale raced to the first fishing destination as I daydreamed of fish to be caught and stared into the water looking for signs of life. 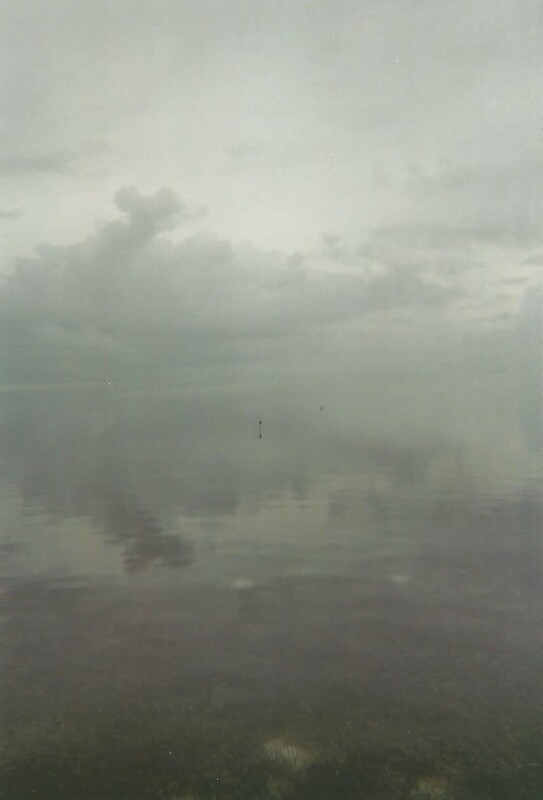 That morning, the skies were a flat slate gray as a single sheet of low hanging cloud stretched to the horizon. A mild breeze was blowing. No sun meant visibility into the water was zero, but fortunately, we arrived at our first flat as the water began to rise with the tide. Good fortune followed. 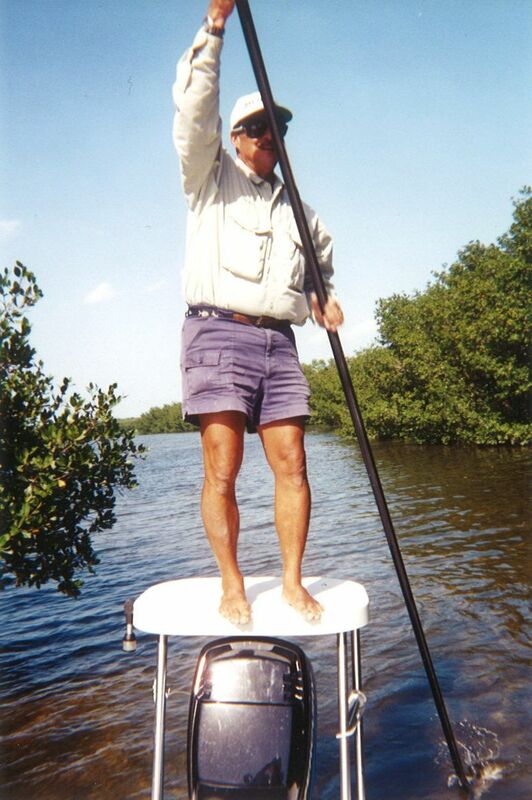 Dale had been poling along the edge of the flat for no more than 10 minutes when a large school of bonefish pushed water ahead of them as the fish left the deeper water of the channel and swam up on the edge of the flat staging to feed as the turtle grass began to flood with saltwater. The “wake” resembled a v-shaped flock of geese migrating through a Midwest fall sky. Although I could not see the fish, I understood from years of mistakes under similar circumstances that the actual fish were swimming well ahead of the wake. I threw my shrimp about 10 feet in front of the wake and as the bait landed Dale shouted, “Rowe, you should get one!” I did. We had several more shots at schooling fish coming up on the flat and I caught an eight pounder before the fishing shut down which coincided with worsening weather. The wind came up and rain drops began to fall. Dale hopped off the poling platform, stored the push pole, and fired up the engine as I stowed my spinning rod and reel. We were off to what we affectionately call the 26 foot hole. Over the years, I have fished the 26 foot hole a number of times. When we are out of good fishing options in the Contents because of a lack of sun, poor visibility, too much wind or from some other combination of the endless variables which affect the fishing, we will run to the 26 foot hole. 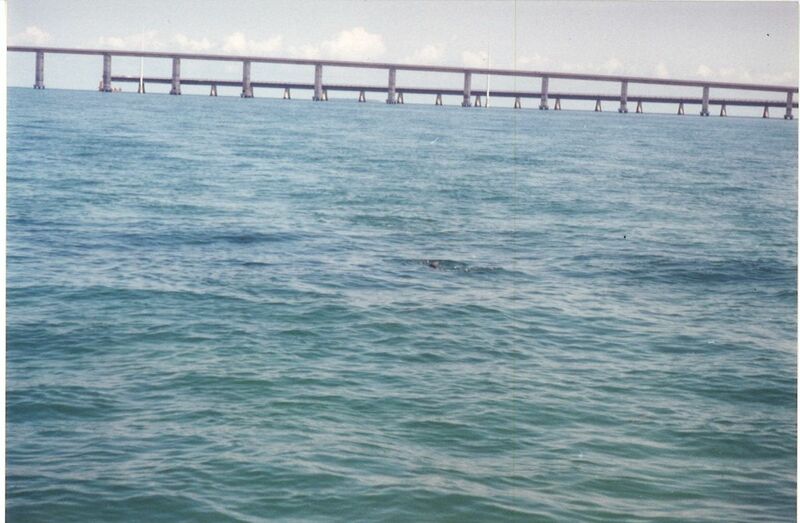 When the tide is right, tarpon resident to the hole often will roll in the channel which is at least a mile long, a couple hundred yards wide, and yes, 26 feet deep. Typically, the rods and reels remain stowed as we all scan the surface for signs of rolling tarpon. As soon as a roller is spotted the tension and excitement in the skiff explodes. The first step is to rig a small spinning reel with a sabiki rig. Each tiny hook of the sabiki is tipped with a small piece of shrimp as we fish for live bait, the feisty pinfish. 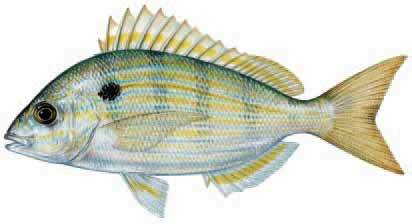 For me, a pinfish is the saltwater equivalent of the freshwater bluegill. The next step is to get out a tarpon rod and reel, sharpen the hooks, and cut a hunk of Styrofoam as a bobber. Two slits are cut in each side of the hunk of Styrofoam into which the guide wraps a couple of turns of line. If a fish strikes, the line cuts through the Styrofoam as the angler sets the hook. Instantly, the bobber is gone and the angler is tight to the fish. Once rigged, the technique is simple. I lob the pinfish which is hooked in the back and the Styrofoam bobber out into the current. As the rig lands, the spinning reel bail is left open so the bait will drift with the tide and current. If the lob cast is too aggressive, the Styrofoam bobber will break and the guide will be cranky! Next, you watch the bobber as it ducks and weaves on the water while the feisty pinfish tries to escape. It takes little imagination to envision a huge tarpon causing panic in the pinfish as the Styrofoam chunk skitters across the surface. With no other good options that afternoon, we drifted pinfish in the 26 foot hole for five hours. Almost immediately, the bobber disappeared and I caught a beautiful jack crevalle. Although not our quarry of choice, the jack put up a tremendous fight full of pumping runs and a singing drag. As the fish was released, I was sure there would be bigger and better fish to follow. An hour passed. As tedium descended and my eyes began to get heavy, I decided to lob my bait to the opposite side of the boat. As the bobber settled in the water just a few feet from the port side of the boat, it just kept going. Before I could tighten on the fish and set the hook, a 4 foot barracuda exploded through the surface and jumped some 6 to 8 feet ascending to our eye level. As it splashed back into the water, the fish reversed direction and streaked across the bow jumping a second time as if it was a thoroughbred clearing a hurdle. As soon as the cuda hit the water, it swirled around churning the surface as if it was trying to escape a dreadful fate. 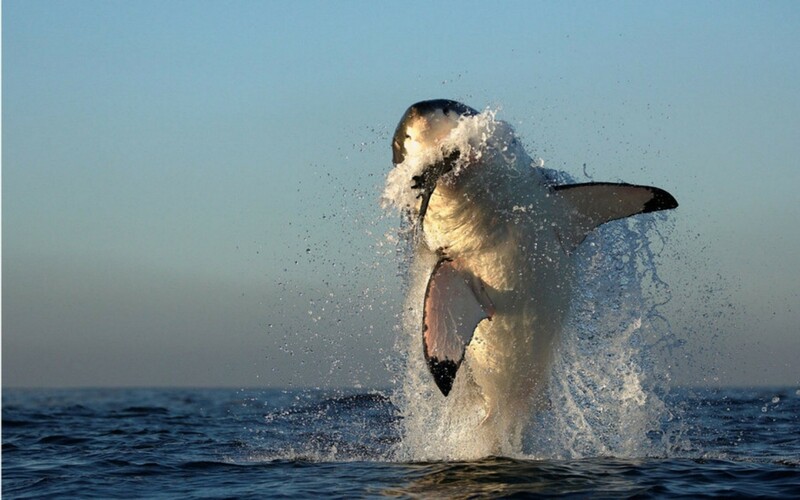 Suddenly, the fish was again airborne as a huge boil of water erupted underneath the flying fish. Out of the water came a 500 pound bull shark with jaws wide open not 10 feet from the boat. The hungry shark caught the barracuda and disappeared under the surface. The line went slack as the refrain from “Jaws” drifted in my head. “Do, do-do, do.” It was one of those events where a month of intensity was jammed into a few seconds. Dale and I looked at each other in disbelief. “Can you believe that? “. Our knees were shaking. Many more casts followed. 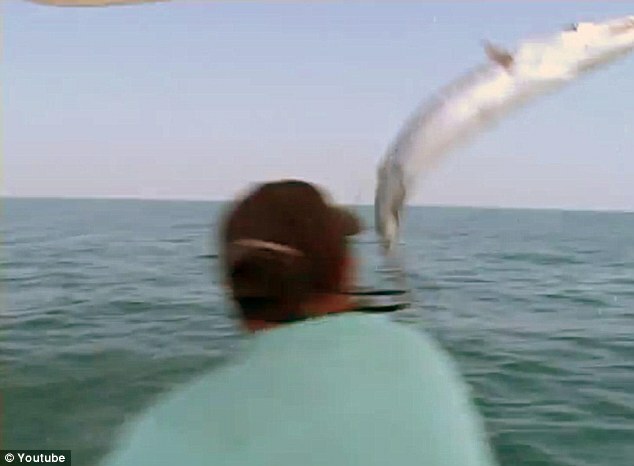 I wondered why any fish would be swimming in the 26 foot hole after the bull shark exploded on the barracuda. After another hour, a third bite. The bobber slowly disappeared some hundred yards from the boat. I reeled down to tighten against the fish and set the hook. Immediately, a large tarpon jumped some 6 feet out of the water. That was the last time we saw the fish as it seemed to burrow to the bottom of the 26 foot hole. After 15 minutes of bull dogging, the line went dead. There was no hook and no fish as I reeled in the slack line with the hip thrusting slumped shoulder bad body language of disappointment. I cast my eyes skyward to ask the fishing gods when I might expect to catch a big tarpon? There was silence on the boat. Dale rigged. Another 90 minutes passed. No bites. Boredom set in. There was no conversation. Finally, a strange thought popped into my head. I set the rod down next to me and climbed up on the bow of the boat. I sat in an upright cross-legged position with my knees spread apart. Putting my index fingers against my thumbs, I placed a hand on each knee. “What in the world are you doing, Rowe” Dale asked. “Dale, nothing is happening. We haven’t had a bite in over an hour and half. So I am going to call the fish to my bait by doing my yoga chants”. Dale shook his head. “Ooooommmmm. Ooooommmmmm. Anshati, shanti,” I chanted surrounded by the stillness of the ocean and an extremely skeptical guide. As the last word left my mouth, the bobber disappeared. I had been chanting for all of five seconds. I laughed out loud, stood up, put both hands on the rod and reel and set the hook. The fish erupted from the water. After a long battle with many runs, jumps, and scary moments, Dale fired up the skiff and chased the fish from the depths the 26 foot hole onto a shallow flat. 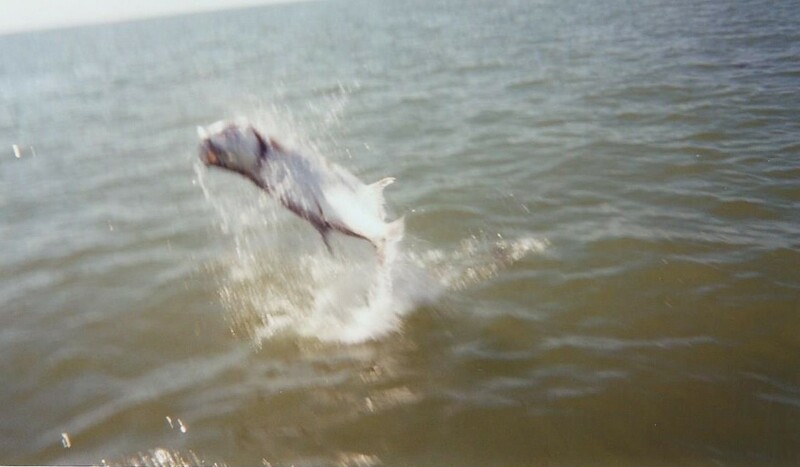 We had our hundred pound tarpon. 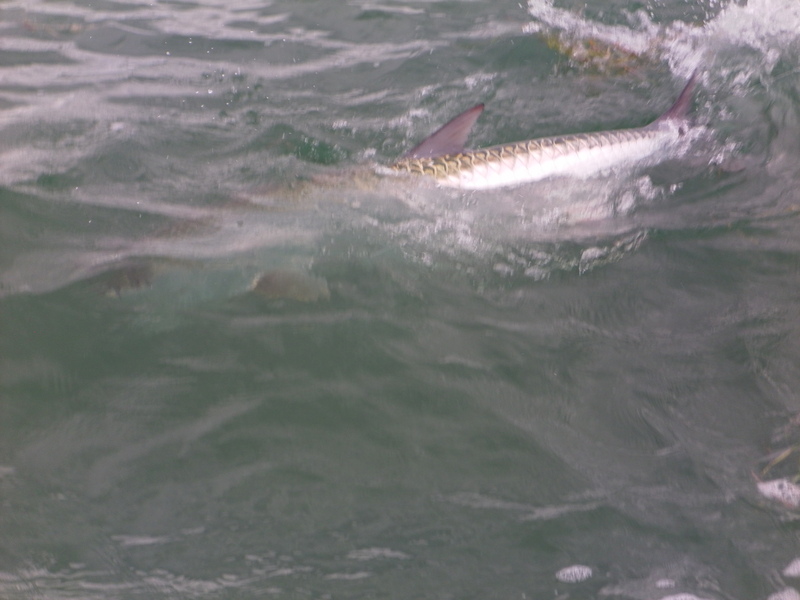 The fish swam slowly under the bow of the boat as Dale reached over and touched the leader making it a “caught fish”. He then yanked and broke the line. 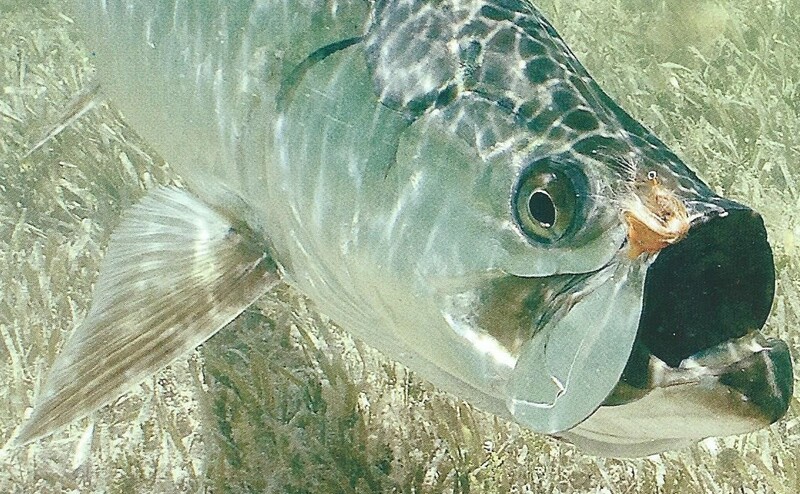 The tarpon eased off as its silver green color drifted out of sight. I went crazy! My first tarpon exceeding 100 pounds had been attracted and caught under the spell of a yoga chant! “Only you, Rowe, only you…” Dale sighed.